How Do You Know If Your Personal Injury Is Sufficient For a Lawsuit? Most people will experience some sort of injury during their lifetime. Having an injury doesn’t necessarily mean you should seek out legal claim since some injuries are attributed to age, genetics or an unavoidable accident. When another person is legally at fault for the incident that led to your injury, you may have a valid legal claim and grounds for a lawsuit. Do You Have a Legal Claim? 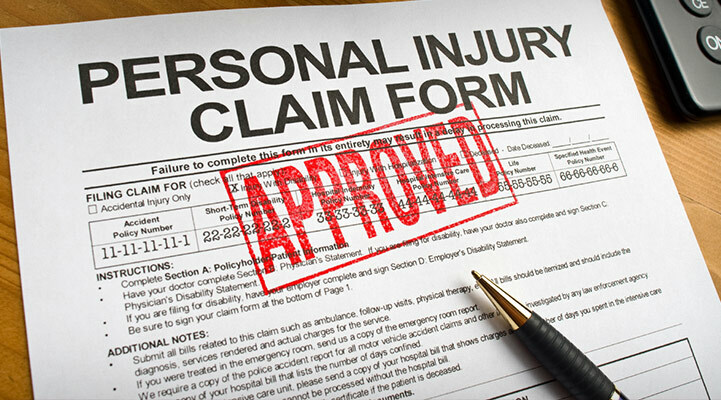 A legal claim can be made through a personal injury lawsuit or insurance action. You are able to recover compensation for damages when someone else is legally responsible for causing the accident or creating any of the factors that led up to the injury. The injury claim is made to allow the injured person to recover compensation for the jury. This includes damages such as lost wages, medical expenses and sometimes emotional distress and pain and suffering. If you want to make an injury claim, you need to prove that the person who caused the injury, the one that you are making the claim against was negligent. Being negligent means they breached a legal duty owed to you and the breach led to the accident and injuries resulted from it. The person making the claim needs to prove this is true under personal injury law. If your claim makes to trial, the legal standard which you must prove your case is by a preponderance of the evidence. Preponderance of the evidence means you must prove to the judge or jury that everything you are alleging is true regarding the cause and extent of your injuries and the liability of the defendant. Many times a case will not make it to trial, especially the verdict stage. Instead, a settlement may be reached between the two parties. Not every injury case will come down to the question of whether or not the other party was negligent but most do. If your injury was caused by a defective product, a workplace accident, or an intentional act, your claim will follow different rules (civil lawsuits). If you suffered an injury while at work you will need to file a workers’ compensation claim under the procedures that New York State follows. In almost every workplace accident, the worker who became injured is banned by law from suing their employer. If the kind of lawsuit you are bringing requires you to establish that the other party was negligent, this is the type of evidence you might need to fight your claim. Should You Talk to a Lawyer? Figuring out if you have sufficient evidence to bring a lawsuit can be difficult especially if you are not sure what type of evidence you need and how to obtain it. In most cases it is best to seek out an experienced personal injury lawyer who can help determine if you have a valid case. If you have any questions you can reach out to Losi & Gangi. One of our attorneys will be able to help. Call us at 716-854-1446.